In hundreds of countries all over the world, there are thousands of McDonald’s branches, making it the biggest fast food chain in the world. They serve over 60 million people every single day in more than 30,000 branches worldwide. McDonald’s basically set everything up in the fast food industry especially when it comes to American-style comfort food. However, the world is evolving and its CEO Steve Easterbrook thought that the best way to have McDonald’s adapt into the millennial generation more is to move back to its original home, and that is in Chicago, Illinois. After 47 years of being in the Illinois suburbs, McDonald’s have finally decided to move back to the city, where original headquarters was back in the day. Their new building, which actually opened last Monday, is said to be worth $250 million. 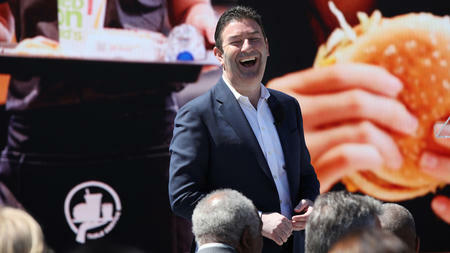 According to their chief executive officer Steve Easterbrook, this move that the Golden Arches’ made is basically just a part of the goal of the company to become more innovative and modern that continues to progress for the better. Easterbrook explained how they have spent more than 40 years out of the city in Oak Brook and it has been great, but it basically detached them from the real world. It was in 1955 when Ray Kroc founded the company and its profile headquarters was in Chicago until they moved in 1971 to Oak Brook. Easterbrook believes that with his move, they are looking into getting in touch with the how the new world will help them adapt. One of the best possible ways to do it is to reach out to the new generation of professionals and customers in general so that they could have an influence on the chain. Easterbrook even pointed out that moving back to the city doesn’t just give them a chance to get closer to their customers, but also closer to their competitors. The city’s influence will definitely bring out the modern twist that could be a game changer for the world’s biggest fast food chain. The $250 million headquarters actually replaced Oprah Winfrey’s Harpo Studios. It is said to have a total of nine floors, with a 490,000-square-foot office that could cover 2,000 employees. The building is actually in the area wherein the nightlife is alive and it is basically surrounded by some of the most amazing restaurants in the city such as the restaurants of chefs Graham Elliot and Grant Achatz. The area was also said to be the former home of the meat packaging district in Chicago, but it is now home to different businesses, residential buildings and of course, the new home to the McDonald’s headquarters. Google, which is one of the biggest tech companies in the world, also moved their employees into a new building in 2016. 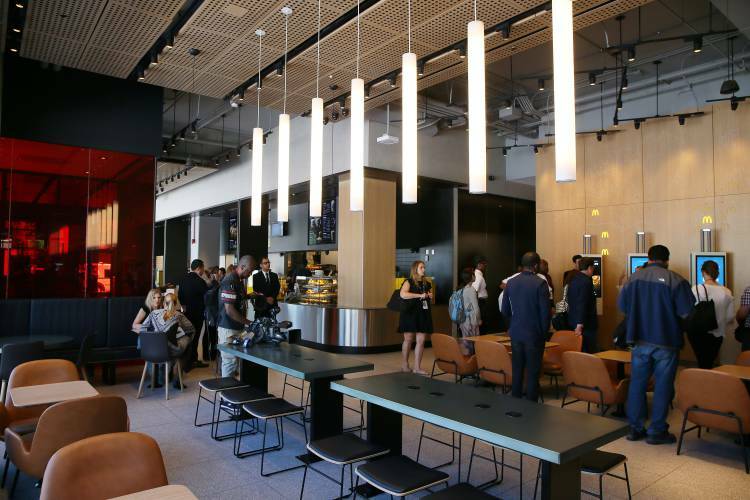 According to sources, the all-new multi-million headquarters actually have café-style workspaces, instead of the usual boring office cubicles. It also has open space floors that include communal tables and even personal lockers. For large meetings, they would have the sixth floor dedicated to it and it is said to have a high-ceiling work-café vibe to it. The design for the large meeting area was reported to be like the fast food restaurant’s PlayPlace for children, for people to get inspired to have new and creative ideas during meetings. Aside from that, they have also included what they call as “IT Tech Bar”, which is basically a place that is similar to Apple’s Genius Bar. The also decided to add a Hamburger University in the headquarters, which is basically where managers would train to become better at what they do, especially when it comes to their leadership abilities. However, the headquarters wouldn’t be complete if they don’t have their own restaurant on the ground floor, which turned out to be open to everyone. Their menu is unique though, became it features a rotation of every menu McDonald’s have all over the world. Easterbrook also said that they would want the new headquarters to still have that origin feeling, so they made sure to put some throwback memorabilia that McDonald’s have over the last few decades. 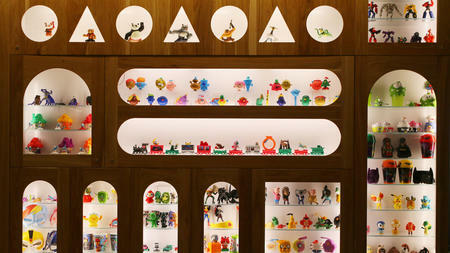 Their well known Happy Meals over the years are also displayed in the new building, together with the wall of fame wherein it features a tribute to Golden Arches celebrities.